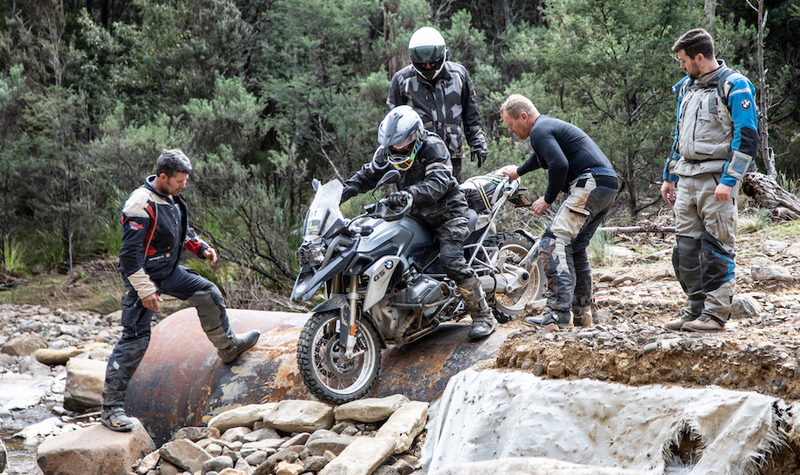 What does a road racer find more daunting than an off-road BMW GS Safari? 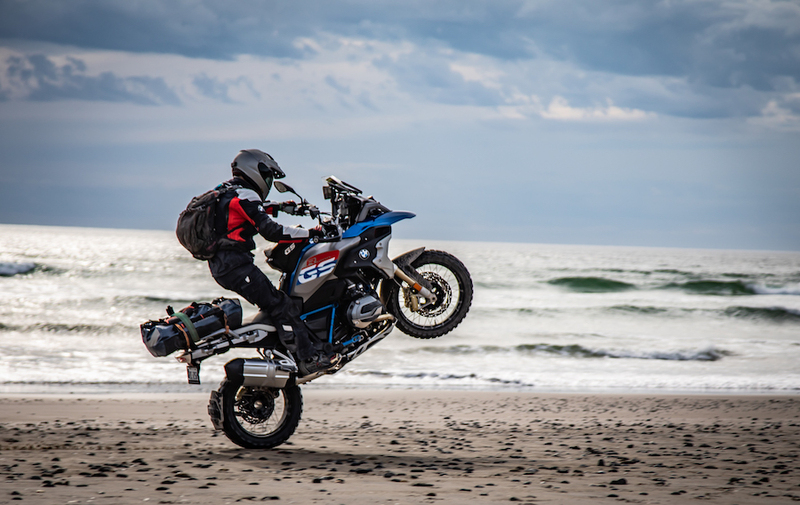 I’m not gonna lie, to me, a millennial who spends their days burning rubber on closed-circuit race tracks like Phillip Island, the words BMW GS don’t exactly appeal to my thrill-seeking side. But I love motorbikes and I love adventure. 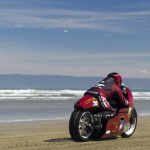 I’d never been to Tasmania, I am a BMW fan and I’ve heard of the Apple Isle’s reputation for beauty and riding for far too long. I signed myself up. To me an adventure bike is the motorcycling equivalent of a caravan. It’s something you buy when you want to settle down and enjoy a slightly slower-paced lifestyle… at least that’s what I thought. Man, was I wrong! The trip started on Sunday afternoon at the BMW head office in Melbourne where I was introduced to the BMW R 1200 GS Rallye X, and what a beauty she was. 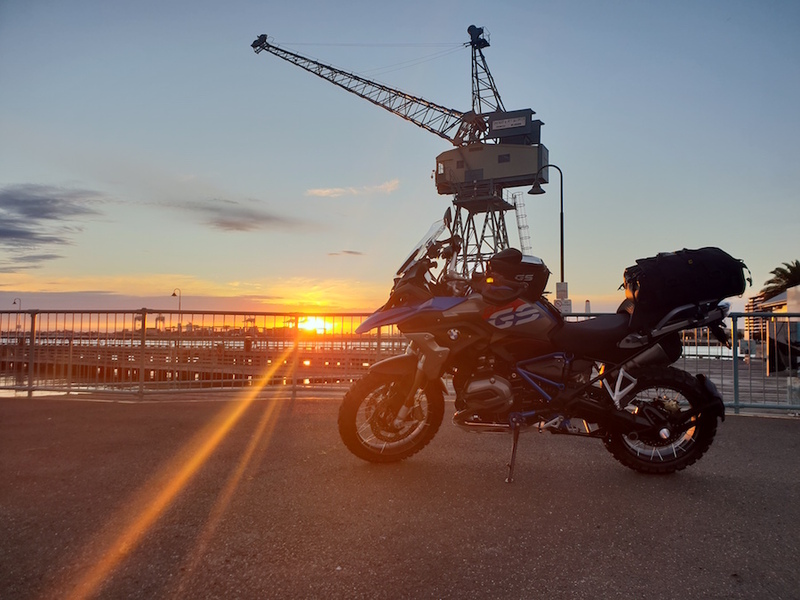 Once acquainted with the bike, I kitted up and set off to catch the overnight ferry to Devonport. 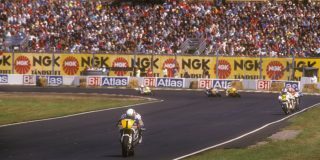 Heading the California Superbike School, I live a busy life of work and travel running events all over the Asia-Pacific region, in the lead up I’d had just enough time to get excited but not fully appreciate the journey I was about the embark on. 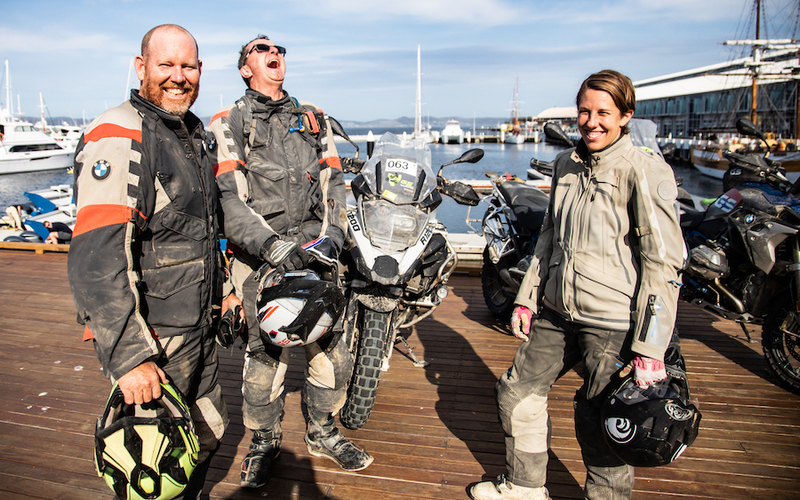 I rode into the port to see a line of GSs on the dock, a bunch of smiling faces and the Spirit of Tasmania looming above with the most picturesque sunset falling behind the whole scene, it suddenly became real… I was in for five days of amazing countryside, like-minded people and a whole heap of riding. I couldn’t wait! Almost 100 GSs and equally as many eager participants met up at the brisk but beautiful Devonport Surf Lifesaving Club. This is where the adventure begins. I listened intently as BMW Safari veteran Miles Davis talked us through the event, encouraging the enthusiasm, settling the nerves and emphasising that it was a five-day journey, not a single day sprint. While everything he said made me feel more at ease, there was one word that didn’t – Enduro! 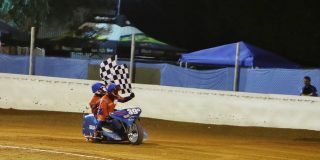 I organise events for a living, and I’d quickly realised that my excitement of being a ‘passenger’ on this all-inclusive style of event had got the better of me. 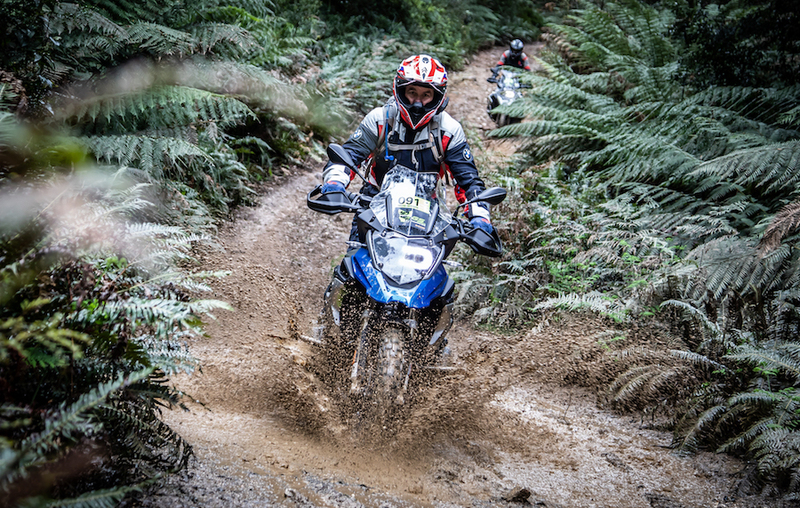 My heart sank when I realised I was not on the GS Safari, I was actually on the all-dirt and more extreme GS Enduro. 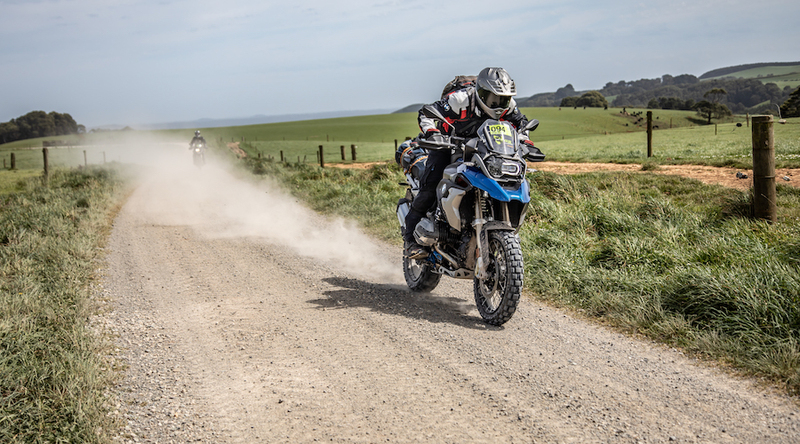 There I was, in my borrowed EnduroGuard Suit, on a brand-new 260-something kilo GS, with the grand total of my adventure bike experience being a two-day BMW Off-Road Training course. I was the definition of all the gear and no idea. The GS culture is strong and long-lived. High-fives, laughter, tales of past adventures, the camaraderie and friendship gained only through experience. It was uplifting to witness and despite everyone’s best efforts to include me, I felt like an outsider. 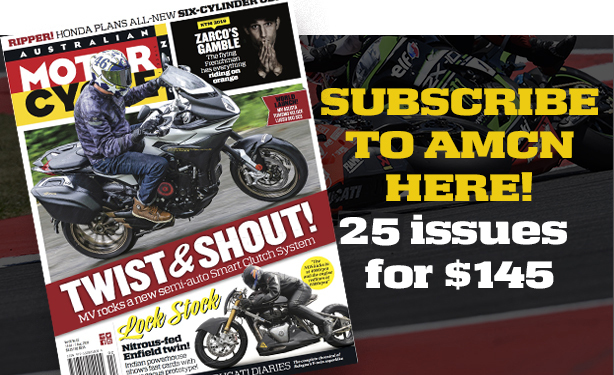 Despite being introduced as one, I am not a journalist, I don’t ride adventure bikes, I’m 20 years younger than the average GS rider and was the only female. It was like high-school all over again – I didn’t fit. Trip meter zeroed, camelback full, goggles at the ready, it was time to roll out and let the adventure begin. 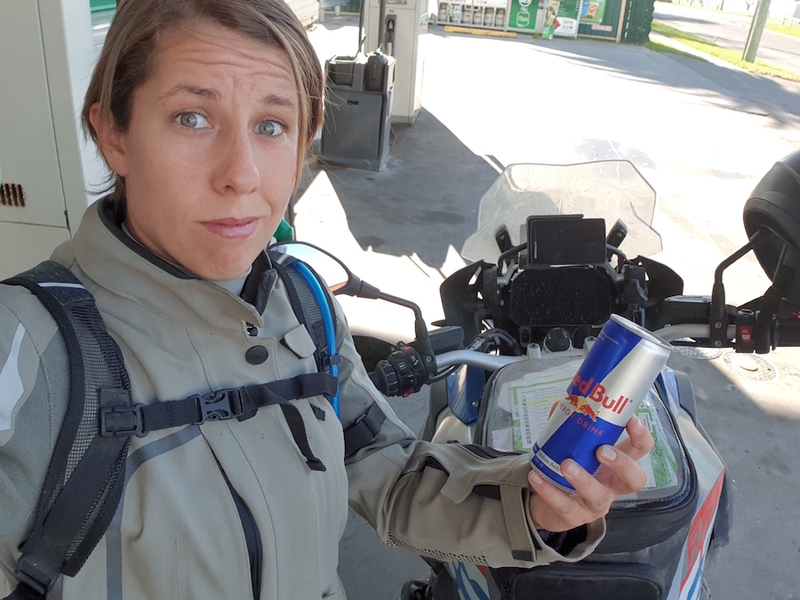 With a map, a GPS and the lead riders putting turn stickers at every pass, getting lost wasn’t an issue, but it wasn’t the latte-sipping leisurely ride I was expecting. 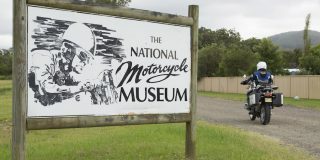 I started my first 350km day over to the west coast via the Mt Dial Recreational Area, my enduro riding introduction. It was rocky, there was clay and it had been raining. My heart was racing, we were 45 minutes down and I already felt in over my head. A quick stop and suggestion to switch to the ‘Enduro Pro’ mode, if nothing else I felt slightly better knowing the bike was prepared for what was to come, even if I wasn’t. After a few minutes of wheel spinning, rock dodging and anxious breathing fogging my goggles, we all came to a stop for a fallen rider. As I sat, literally shaking waiting for my turn to tackle the slightly wet, rocky incline, I realised the guy next to me was equally as nervous, and the two helping to pick up the fallen rider were not judging him, but helping him. I got an encouraging nod, it was my go, I clicked second and carefully navigated the hill with Miles Davis’ advice of “float like a butterfly” ringing through my head. It was this exact moment that filled me with ‘GS spirit’, I got it! It didn’t matter if I got up this hill the first go, it wasn’t about fitting in, or showing how capable you were at all. It was about pushing the limits of yourself and your machine, with supporters you’d never even met, on terrain you’d never normally ride. My riding buddies weren’t my safety net, the event was, and these adventure riders were not part of some secret pact after all, we were all in this together. The ride continued and as I got more comfortable, it got more exciting. With each twisting turn the terrain changed, Tassie’s reputation for beauty didn’t disappoint. From grippy dirt to slippery red clay and everything in between, we wound our way through the state forest and along the Campbell Range eventually reaching our lunch stop. The quaint yet quirky Edith Creek General Store was warm and welcoming and, after 180km we were in need of fuel for both bike and rider, and the first of the customary tale-swapping sessions began. The stories and banter flew thick and fast, and we were not even half way! The eager ones scoffed food and set off first, while others took a little longer to enjoy the social side of things. I was somewhere in the middle, but I liked that we could all go at our own pace. We headed south along the west coast on a 75km stretch of road which was aptly nicknamed The Moon. We’d gone from lush dense forest to dry, dusty gravel, and lots of it! 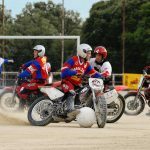 I raced dirt track once, I enjoy the bike getting loose, but a 260kg GS on tight, blind, off-camber gravel roads was fun for all of about half an hour. Safe to say it wasn’t my favourite part, but redemption was found as the vastness of the baron lands was an unmissable sight. After what felt like hours of intense focus on traction, I’d reached Corinna where the tone was low, but new challenges lie ahead, Fat Mans Barge. 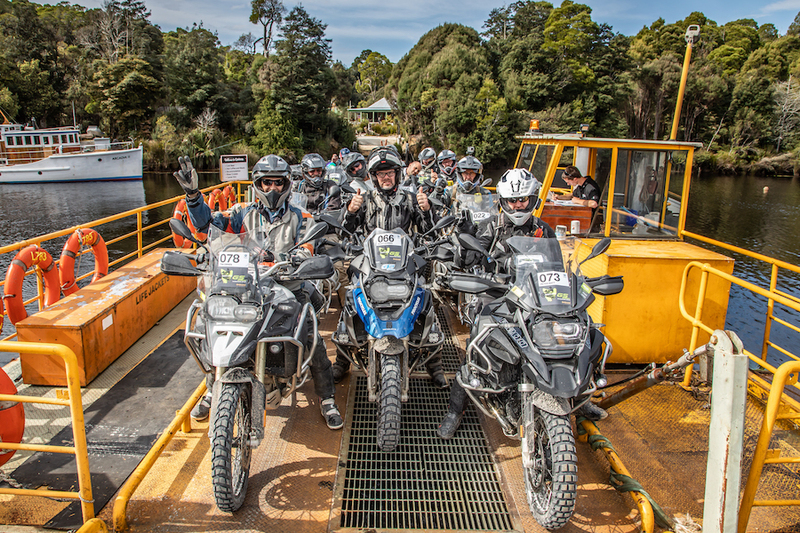 To cross the Pieman River, the fee was $50 for as many bikes as we could fit. With a bit of squeezing we managed 10, which meant the bargain price of $5 each. When I got to the other side, I whipped out my cash but our fare had already been paid and the payer already gone. Thank you, kind stranger. I met up with the GS Off-Road Training team and the timing was perfect. With a caffeine hit and some new buddies to ride with we continued the 100km home stretch. 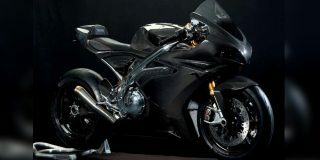 Now this was more my style of riding, asphalt! Like water down a creek, the roads had a mesmerising flow to them, finally, I was in my element. Knobby tyres on asphalt… yet another new and uncomfortable experience. 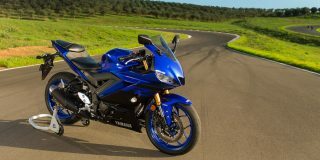 The Continential TKC80s were perfect though, and paired with the GS made for a capable yet comfortable ride through the twisties. 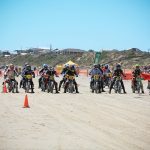 In fact, we got so carried away we missed the turn off for the next enduro section, which turned out to be closed after too many riders were struggling through the long sections of soft sand. I was okay with this because the day was finished with a ride on Strahan Beach. Ploughing the front and paddling with both feet I made it, not so gracefully, through the soft sand onto my most anticipated section for the day. The energy was like watching a bunch of six-years-olds let loose on their favourite playground. There was skids, doughnuts, wheelies and plenty of laughter as we rode along, the water lapping at our tyres. It was the perfect finish for a great day of riding. A quick scoot back to Strahan Village to sign in, pick up our bags and then debrief on what had been and what was to come. As I sat with friends, old and new on the hilltop overlooking the water with a beer raised to the day adventures, an immense feeling of satisfaction came over me. I had experienced more in one day on this GS Enduro, than I had in my 12 years of riding. 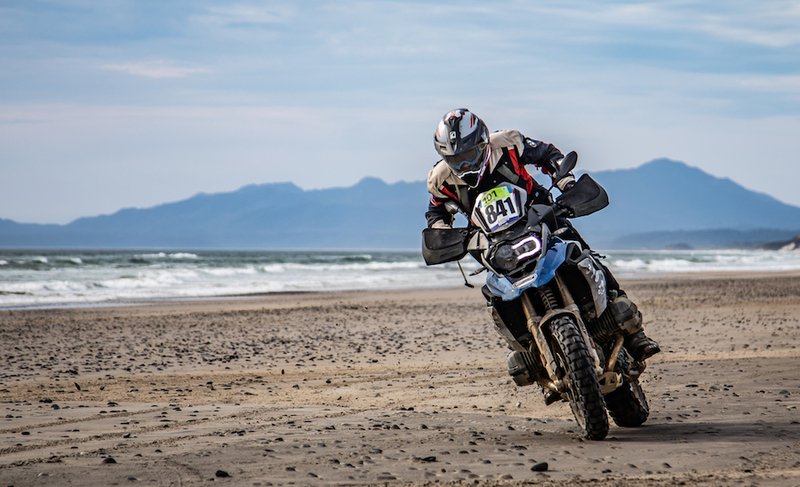 I’d conquered nearly 400km of dust, dirt, clay, gravel, sand and asphalt, some easy and enjoyable, some more challenging, but all of it making this unforgettable. The trip could have ended here and it would have been one of the most memorable riding experiences of my life, but it had only just begun. I had another four days, and each day was more epic than the previous. We stayed at beautiful accommodation, travelled to iconic parts of Tasmania, challenged ourselves and our bikes and worked as a team. The trip totalled 1600kms and by the end of it I needed a holiday from my holiday. 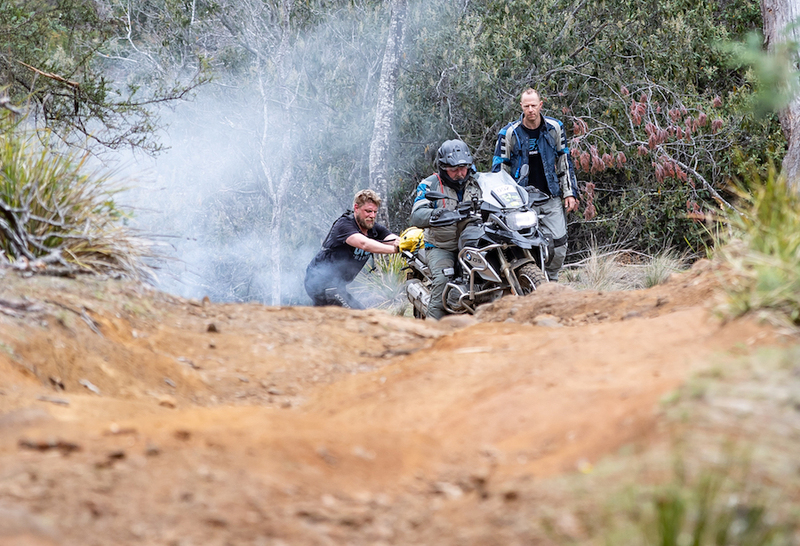 The riding was tough, the days were long, and my idea of adventure riding had been completely blown apart… it isn’t just for those looking to slow down, adventure riding is for everyone… even thrill-seekers! If a BMW GS is the equivalent of a caravan, then I’m ready to retire! ‘Two-up’ and ‘enduro’ do not normally go together, however a stick in the radiator, 150km still to ride and the support vehicle some four hours away for a tow, it seemed the only option. 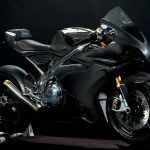 At first, I was scared, but an adjustment to the electronic suspension to match the additional weight and the bike was plush. And 10 minutes in I was actually starting to have fun. As we fuelled in town the more adventurous riders were being led out by Miles to what he’d named the Convict Track due to its cobble stones and difficult nature. With a mischievous smirk, an approving nod we were on the chase. Wet clay, rocky sections, dried creek crossings and a slippery log bridge I’d not actually managed to cross on my own… we did it all, two-up and laughing endlessly along the way. While the ‘Twinduro’ is not on BMW’s event list any time soon, it was yet another experience I will never forget. Meet Nathan Martin, he is the coolest new friend I made on Safari! Not just because he would jump in and help anyone who needed it or because he had a real ‘go get-em’ attitude, but because the story of how he got to Safari was an epic adventure in itself. 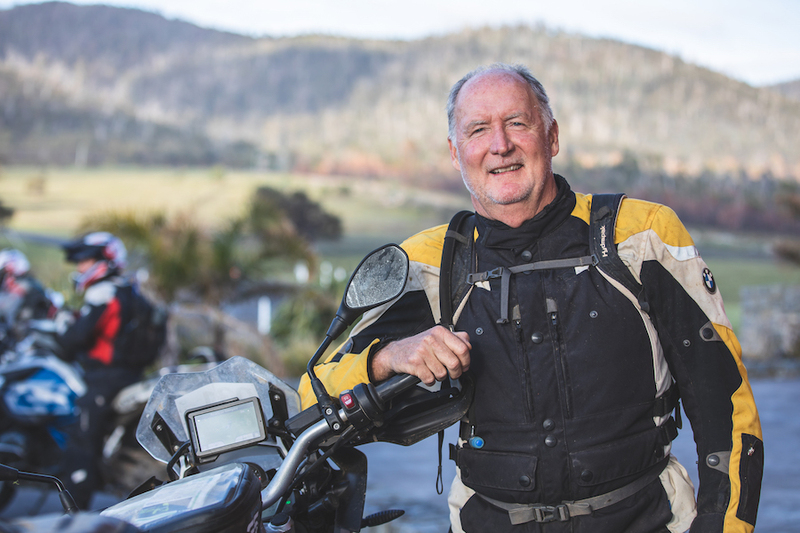 He is a Marine Technician in the Australian Navy and it was five years between buying a GS and and actually rolling out onto the docks at Devonport to participate in a Safari. However, he didn’t roll out with us on the Spirit of Tasmania, he and his GS came off a Naval War Ship! What had kept him away all this time, was ironically what got him there in the end. His ship happened to be docked there the same time the event was running, so with some slick coordination and approval from the boss, his bike was crated up, loaded on board and on its way. After such a long wait and years of anticipation, I asked if the event had met his expectations. How many GSs have you owned? I bought my first GS in 2009 and have owned four since. The latest, the GS 1200 Rallye X I purchased after doing the GS Experience at Wisemans Ferry. How many Safari’s have you been on? 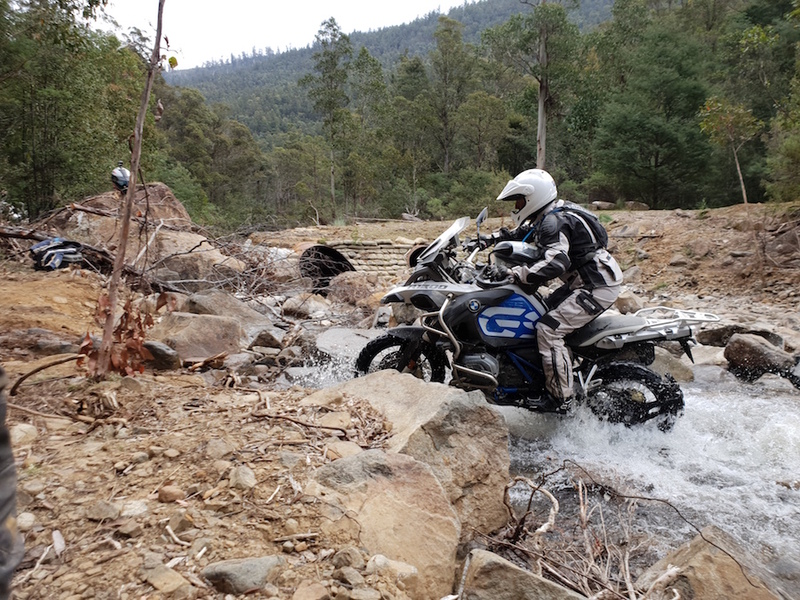 I have been on two GS Safaris and two GS Enduros. 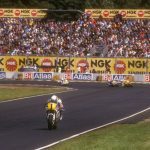 The first one I did was the Enduro from Darwin to Palm Cove and it was epic! I think still the best one I have done to date. Why do you continue to come back and do these events? I have a group of guys and for 10 years I’ve organised my own tours, Europe twice, America three times, we’ve done Tassie, but that’s road riding and most of the time we take our wives as well. So, the idea with these is to go places I wouldn’t normally, and it’s fully supported. What’s been a highlight from this trip? That run up through Queenstown was a race track with racetrack-quality tarmac and on these bikes, it nuts that they can do what they do. There was grip and most of the trip has been dealing with no grip, so that was a highlight.